There are several different types of thinking or ways to think. 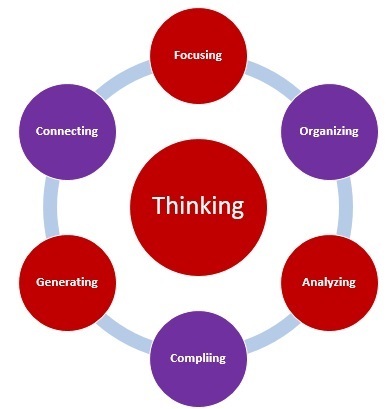 Analytical thinking – refers to the ability to separate a whole into its basic parts in order to examine the parts and their relationships. It involves thinking in a logical, step-by-step manner to break down a larger system of information into its parts. Critical thinking – refers to the ability to exercise careful evaluation or judgment in order to determine the authenticity, accuracy, worth, validity, or value of something. In addition to precise, objective analysis, critical thinking involves synthesis, evaluation, reflection, and reconstruction. And rather than strictly breaking down the information, critical thinking explores other elements that could have an influence on conclusions. Concrete thinking – refers to the ability to comprehend and apply factual knowledge. It is about thinking of objects or ideas as specific items, rather than as a theoretical representation of a more general concept. It involves thinking only on the surface, always literal, and to-the-point. 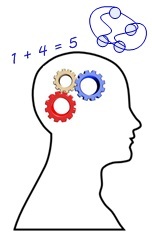 Abstract thinking – refers to the ability to use concepts to make and understand generalizations then relating or connecting them to others items, events, or experiences. It involves paying attention to the hidden meanings thus allowing you to observe and understand theories and possibilities. Divergent Thinking – refers to the ability to generate creative ideas by exploring many possible solutions in an effort to find one that works. It involves bringing facts and data together from various sources and then applying logic and knowledge to solve problems or make decisions. It starts from a common point and moves outward in diverging directions to involve a variety of aspects or perspectives. Convergent thinking – refers to the ability to put a number of different pieces or perspectives of a topic together in some organized, logical manner to find a single answer. It involves focusing on a finite number of solutions rather than proposing multiple solutions. Sequential (linear) thinking – refers to the ability to process information in orderly prescribed manner. It involves a step-by-step progression where a response to a step must be obtained before another step is taken. Holistic (nonlinear) thinking – refers to the ability to see the big picture and recognize the interconnectedness of various components that form the larger system. It involves expanding your thought process in multiple directions, rather than in just one direction, and understanding a system by sensing its patterns. Concrete thinking refers to the thinking on the surface whereas abstract thinking requires much more analysis and goes deeper. Concrete thinking will only consider the literal meaning while abstract thinking goes deeper than the facts to consider multiple or hidden meanings. 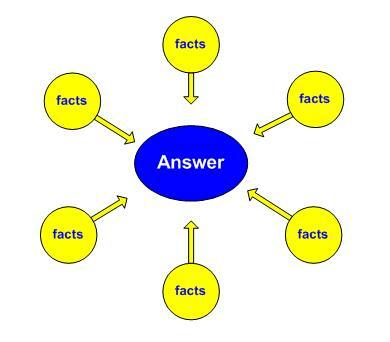 Concrete thinking refers to the process of comprehending and applying factual knowledge. It involves only those things which are visible and obvious allowing any individual to observe and understand. Abstract thinking goes beyond all the visible and present things to find hidden meanings and underlying purpose. A concrete thinker will look at the flag and only sees specific colors, marking, or symbols that appear on the cloth. An abstract thinker would see the flag as a symbol of a country or organization. They may also see it as a symbol of liberty and freedom. Convergent thinking involves bringing facts and data together from various sources and then applying logic and knowledge to solve problems or to make informed decisions. Convergent thinking involves putting a number of different pieces or perspectives of a topic back together in some organized, logical manner to find a single answer. Divergent thinking, on the other hand, involves breaking a topic apart to explore its various component parts and then generating new ideas and solutions. Divergent thinking is thinking outwards instead of inward. 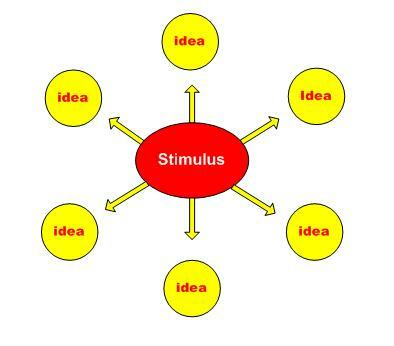 It is a creative process of developing original and unique ideas and then coming up with a new idea or a solution to a problem. Analytical thinking is about breaking information down into its parts and examining those parts their relationship. It involves thinking in a logical, step-by-step manner in order to analyze data, solve problems, make decisions, and/or use information. Creative thinking, on the other hand, refers to conceiving new and innovative ideas by breaking from established thoughts, theories, rules, and procedures. It is not about breaking things down or taking them apart, but rather putting things together in new and imaginative ways. An analytical thinker may look at a bicycle to determine how it works or what is wrong with it. A creative thinker may look at the same bicycle and think or an new way to make it faster or a new way to use it. Sequential thinking is processing information in orderly prescribed manner. It involves a step-by-step progression where the first step needs to be completed before then second step occurs. Holistic thinking, on the other hand, is about seeing the big picture and recognize the interconnectedness of various components that form larger systems. It involves expanding your thought process in multiple directions, rather than in one direction, in order to understand how everything connects. Holistic thinkers want to understand the patterns and how thing connect to each other. When assembling a table, a sequential thinker would follow the step-by-step directions. A holistic thinker would want to see or mentally visualize how the table would look when it is completed.